Legacy News: Legacy Genealogy Cruise - We're Back! Legacy Genealogy Cruise - We're Back! So before I officially get back to work, I'll write a little more about our adventures below. In Tokyo we visited Tokyo Station City and explored the city's underground malls. It was here that I had my first-ever Japanese food. While I loved every bite, the restaurant staff had a chuckle at my use of their chopsticks. They must have felt really sorry for me, and brough me a fork. I was determined, however, and finished the meal without the fork. We ended the classes as we always do by drawing more names for door prizes. 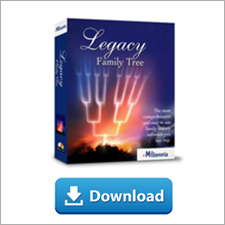 Dave (Legacy's President) announced that the winners would get a free annual webinar membership to www.familytreewebinars.com and a free upgrade to the next version of Legacy. Thanks again to Steve Salisbury, Dave Berdan, Ken McGinnis (and myself I suppose) for the great classes! Thanks to all of you who joined us! Thanks to the rest of our Legacy Family Tree staff who kept our Support, Customer Service, and Shipping departments open while we were away. And thanks to our cruise coodinator, Christy, for all she did for us too! It's not too early to begin thinking about next year's cruise (our 12th annual) to the Western Caribbean with Lisa Louise Cooke. Click here for the details of where we're going. Now that I've officially announced our return, it's back to work! And although by body still thinks it's 17 hours ahead of Idaho time, and it really wants to go back to sleep, I've got a lot of catching up to do. 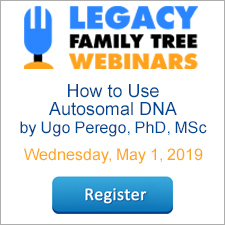 See you Friday for our next Virtual Legacy User's Group webinar! Thanks for the great classes. Also, really liked visiting the Legacy leaders and users during lunch, dinner and shore excursions. Great Holiday/Vacation. Can you give us an idea of the cost of the next cruise? Sounds like a great trip.